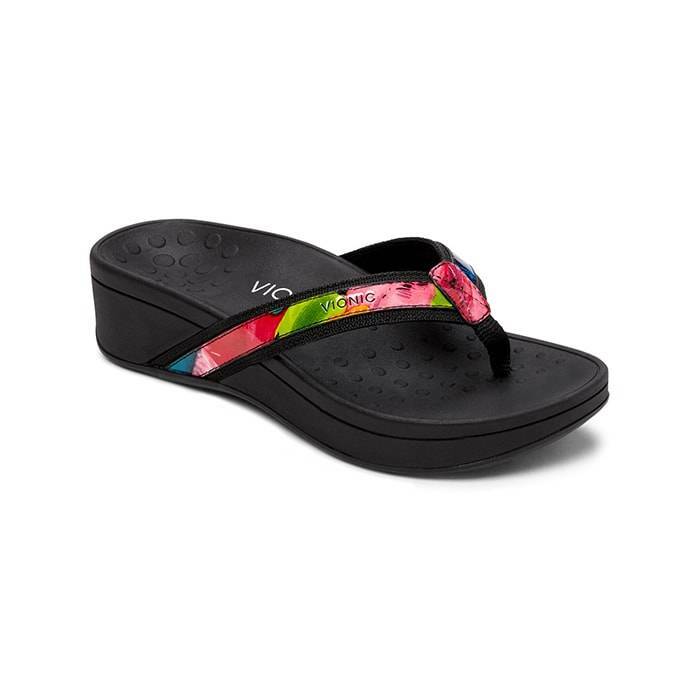 The Vionic High Tide Black Floral takes the toe-post sandal to new heights. Now with a platform wedge heel. It’s the warm weather essential you’ll want to pack for every excursion. Natural Alignment with Vionic’s Biomechanical Footbed. The orthotic-grade footbed supports your feet from the ground up. Add to wish list Fit Tip: If you like the width of our Classic Tide sandal, we recommend you order the High Tide in a wide width. Discover what makes the support in Vionic footwear so addictive and how our technology can help you lead a more active life. Dual-density midsole for optimal comfort. Click To View All Vionic Styles.